e-bikes and e-MTBs are not only becoming more prevalent as each year goes by, they’re also advancing as quickly as mobile phone technology. 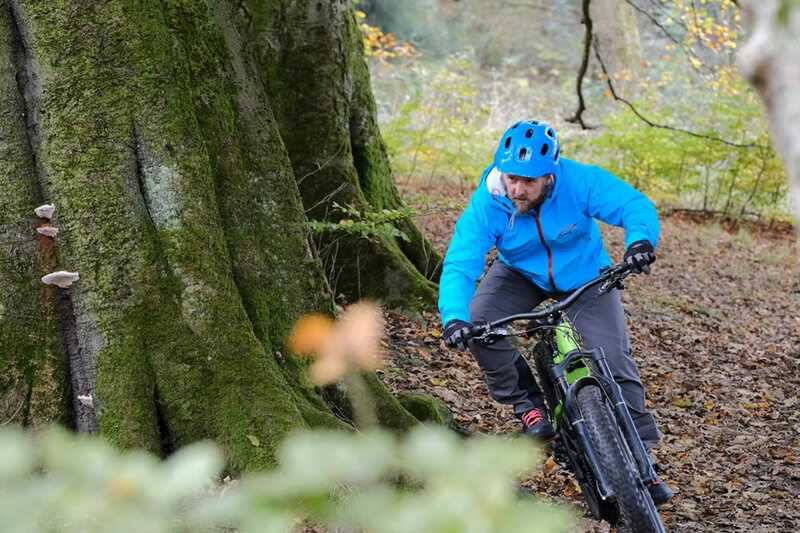 One man at Singletrack Towers who loves his tech is our head honcho Mark Alker, and he’s been spending a lot of saddle time on e-MTBs over the past 12 months that he’s becoming our resident e-head. Over to Mark! Usually in a head to head the whole point is to compare two bikes and decide which one is the best. In this case I’m not going to do that. Why not? Well, I’ve picked these two e-MTBs simply because I already think they are the best. Each one approaches the concept of adding a motor to a MTB in different way and each approach has its reasoning that I can’t really argue with. It’s the fact that they both take such a ground up approach to e-MTB development that is both radical and impressive that has made me include both of these bikes in a single so called, head to head feature. But really it’s my rationale about why these two bikes are, in my view, the current best e-MTBs on the market. But first lets talk e-MTBs in general because I am pretty sure that a good bunch of you are feeling grumpy about them. I imagine some of you are shouting at the screen about now. I get the arguments against e-MTBs. I get the threat to trail access in the US and I get the fear of increasing the numbers of riders on already delicate trails. But, I’ve ridden a lot of e-MTBs in the last two years and the one thing that is certain is that they are here to stay. Technology does not go backwards. 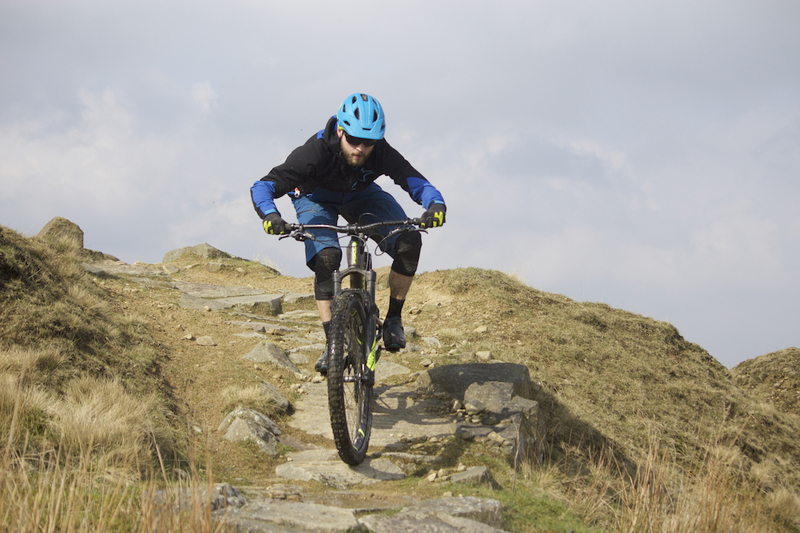 We can argue endlessly about the politics around e-MTBs but what is not arguable is the way they ride and how they ride, so lets get some things straight first. e-MTBs are evolving dramatically. The newly released Turbo Levo Kenevo is evident of this. 1) You get a workout riding an e-MTB just like you do riding a normal bike. It all depends on how much energy you decide to put in. Sometimes I’m not feeling that great on my MTB and so I ride in lower gears than normal. On an e-MTB sometimes I ride it in eco lots and sometimes I ride mostly in trail mode. I get hot and sweaty doing both. On an e-Bike I will either go further than I normally would or I will go faster over the same distance – it all depends how I am feeling. Either way I get hot and sweaty. If I’m on an e-MTB I will have fun. If I’m on my MTB I will also have fun. It all depends how I feel as to which one I decide to ride. 2) None of the eMTBs I’ve ridden I’d recommend for anyone just starting out off road. 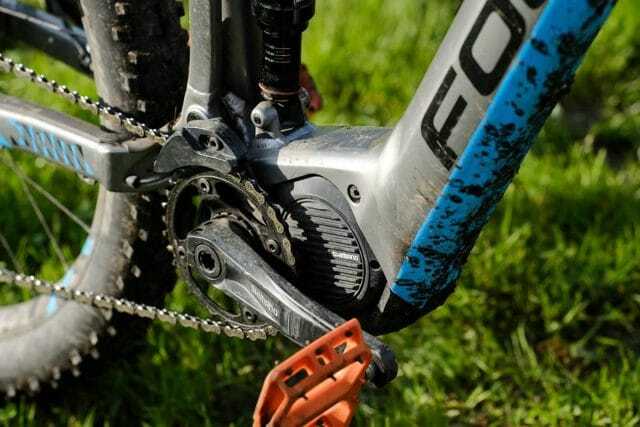 If you can’t handle an MTB off road well then trying to handle one with a boost option that will suddenly double the power you are pushing through the pedals is going to end in a mess. These are not bikes for beginners. e-MTBs are for old people. They’re also for young people. And anyone who wants to ride one. 3) They are for old people if those old people are already experienced mountain bikers who are prepared to raise their heart rate a lot, which is pretty much the same as every mountain biker I’ve met regardless of their age. So they are for anyone, no matter how old, so long as you are ok with points 1 & 2. 4) It’s still a fact that most people who still hate e-MTBs still haven’t really tried one. There are exceptions to this. Maybe you are one of them. But that doesn’t change the fact that your type is small in number. 5) Most people who try them, love them, but they may still have problems with them based on the access and trail use issues. And that’s ok.
6) And finally, if you hate them because you think they are cheating or for lazy people who don’t know how to ride then you should probably stop reading now – we aren’t going to get along. Next, let’s get the technical run down on each bike out of the way and then I’ll talk about what it is about each that I find so impressive and unique. The Focus Jam2 as ridden by our head honcho, Mark. And Mark aboard the Specialized Turbo Levo. Custom battery sits inside the downtube. Let’s start with the Jam2. What I find fascinating with this bike is the totally unobvious step that Focus has taken in dramatically reducing the battery capacity of this system. The pretty ubiquitous 500wh battery pack (which is principally a function of it being an early off the shelf option for e-bike manufacturers) is found on almost every e-bike that is out there but Focus has stopped to think about a number of factors here. Firstly, the biggest problem with e-MTBs is their literally massive weight. 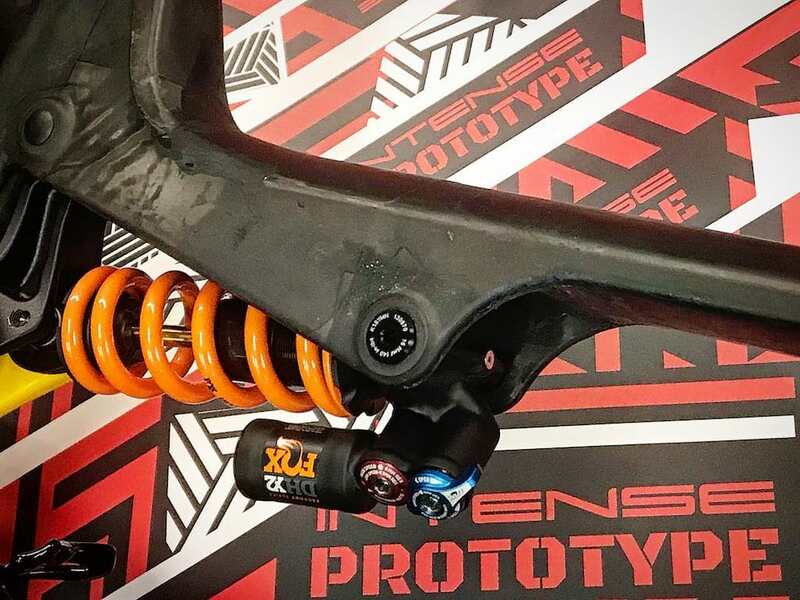 A typical full suspension e-MTB comes in at around the 50lb plus mark and no matter how much power it can deliver, that kind of weight is always going to have a drastic effect on the bike’s handling. In fact that is the principal problem with all current e-MTBs – their sheer mass makes them far from agile and coupling that kind of mass with a turbo option on the power setting is more than enough to get the inexperienced rider into trouble. In fact we’ve had more crashes on e-MTBs while riding up trails than down them, simply because the power delivered exceeds the riders ability to control the huge weight. And so, Focus, in recognising this pretty fundamental issue rethought the entire concept and in reducing the capacity of the battery they have created a bike with a weight of around the mid 40lb mark. Now don’t get me wrong here – that’s still huge but it definitely makes a difference to the handling. But surely reducing the battery size and capacity reduces the range? Well, yes, but the effect is not as simple as you may think in the real world. Losing an extra 6/7 lbs on any bike is going to make it feel different. In the case of the Jam2 it creates a ride that is far more similar to the ride of a non e-MTB than a typical e-MTB. 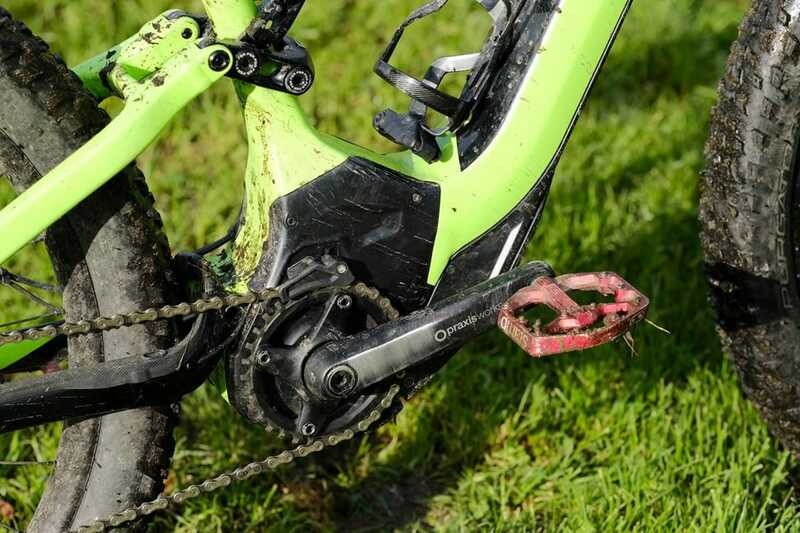 The big tell is what happens when you turn the motor off completely while riding – typically something you really don’t want to do on an e-MTB. 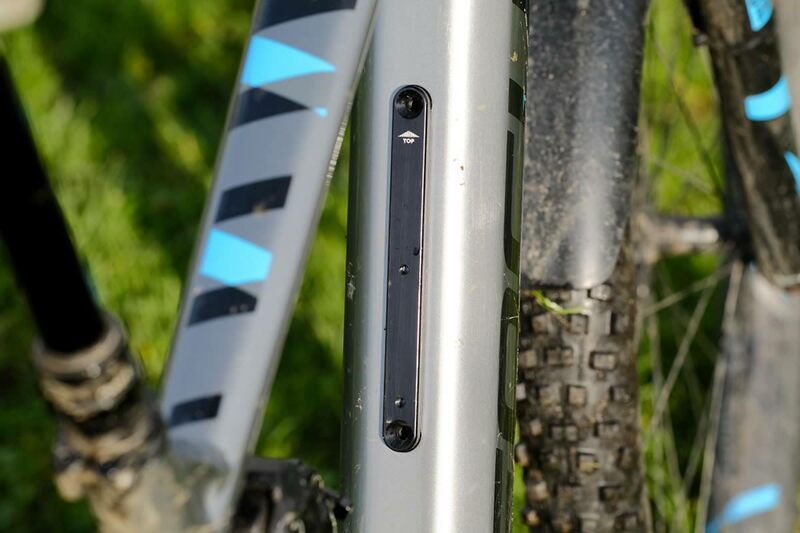 In fact so abnormal is this action that on the Turbo Levo you can’t actually do that from the bar mounted controls. I imagine the thought process bouncing around the design meetings of most e-Bike designers is, ‘why would you want to?’. The 378Wh battery sits inside the downtube but you have an option to clip on an extra external battery to double your range. 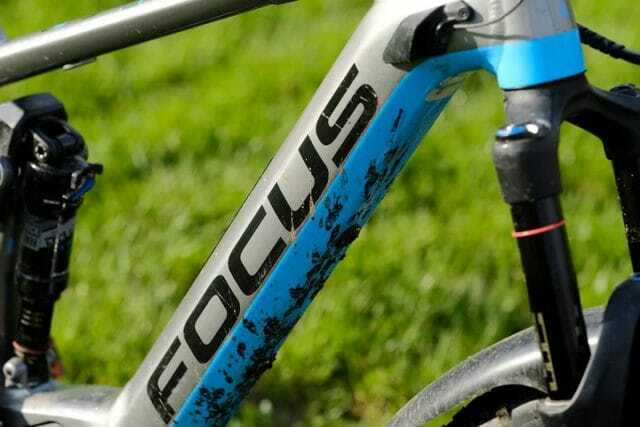 And this is why I really like the Focus approach to its e-MTB development. 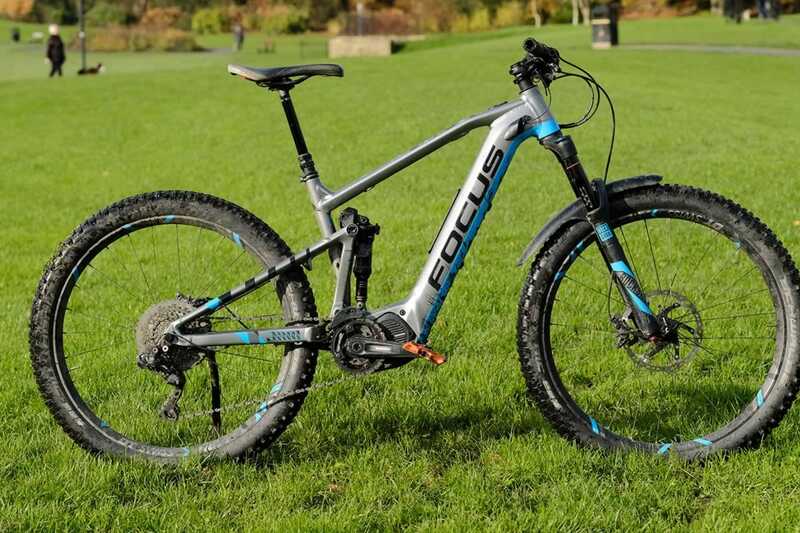 For the haters who are adamant that e-MTBs are not proper bikes at all it may come as a surprise, and perhaps some relief to the open minded among them, that Focus definitely approach its e-MTBs from the starting point that they have to still feel and perform like bikes. The motor is there to increase the fun the rider can have and not to dramatically change the characteristics of the bike. If you are going to add pedal assist to a bike then the objective has to be that the difference is measured by how much more the rider can do rather than how it changes the very ability of the bike to perform at all. I think it’s a portent of things to come and it’s why I believe that in a few years from now, visually, you won’t be able to tell if a bike is an e-bike or not without closer inspection. It’s also feasible that the power output and capacity of those bikes reduces still further. But back to that handling issue. Yes, you get less power with the Jam2 but you also get a bike you can actually pedal while the motor is off. The result is that you don’t need the power on all the time and, coupled with the lighter weight, you have a bike that uses the power it does have much more efficiently and conservatively. I genuinely didn’t notice that the total battery capacity of the Jam2 was less than any other e-MTB I have ridden. What I did notice was that it handled closer to a normal MTB than any other e-MTB I’ve ridden – and surely that’s the whole point. A bike that feels like a bike but just lets you do more of the fun stuff. The Focus vision of the future is not one of more power, but less power used better. What is there to hate about that? We’re told that Specialized UK can’t keep these in stock they’re so popular. Specialized use a 500wh battery pack, pretty much like every other e-bike manufacturer. 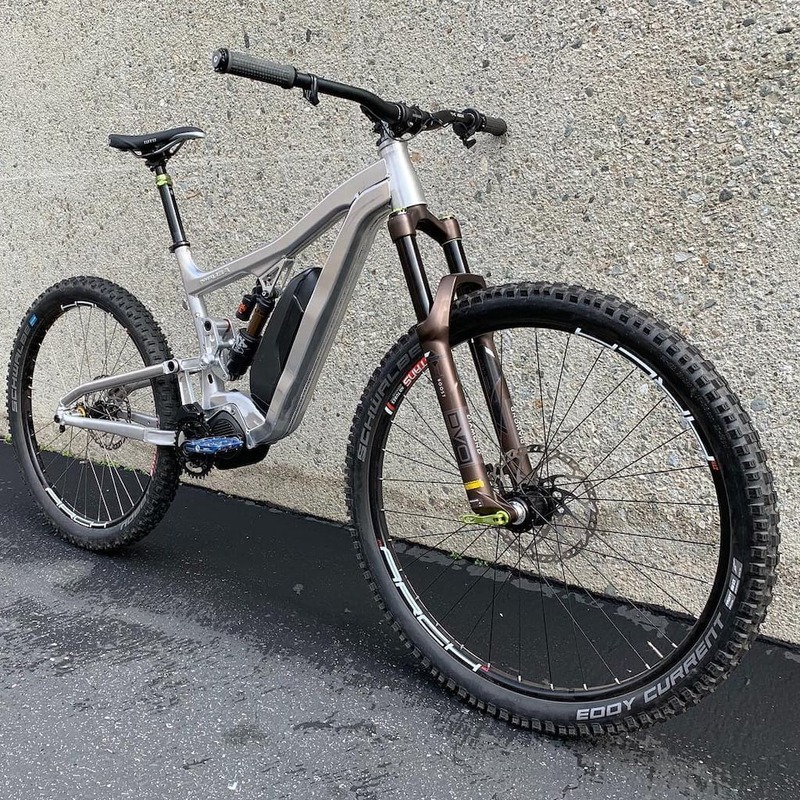 The Levo also weighs in at a heavyweight 52lbs, which pretty much means it is everything that the Focus Jam2 is not and after everything I’ve just said about the way Focus are developing e-MTBs it appears to be everything that I think is wrong about current e-MTBs. So why is it here in this head to head of two bikes I think are standout eMTBs? Specialized, like Focus, have not done what the majority of the rest of the world’s e-MTB brands have done and simply taken an existing popular bike from the range and shoe-horned a motor and battery in. They’ve taken their time and actually stopped to think about what it is that they can offer for mountain bikers with the current technology. 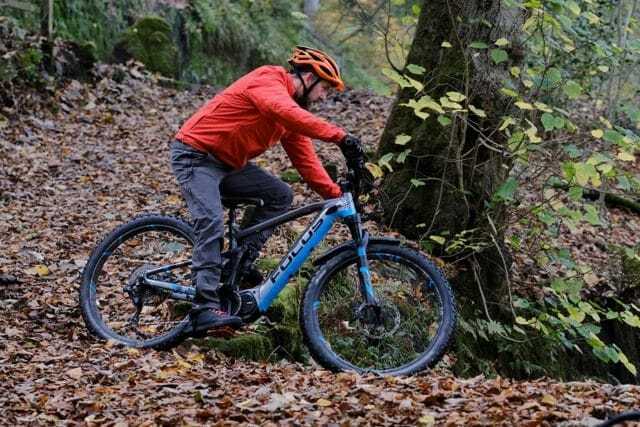 The result is an e-MTB for experienced mountain bikers that allows bikers to flatten out the climbs, or even to have fun on them, without all that tedious grinding away and gasping for breath. 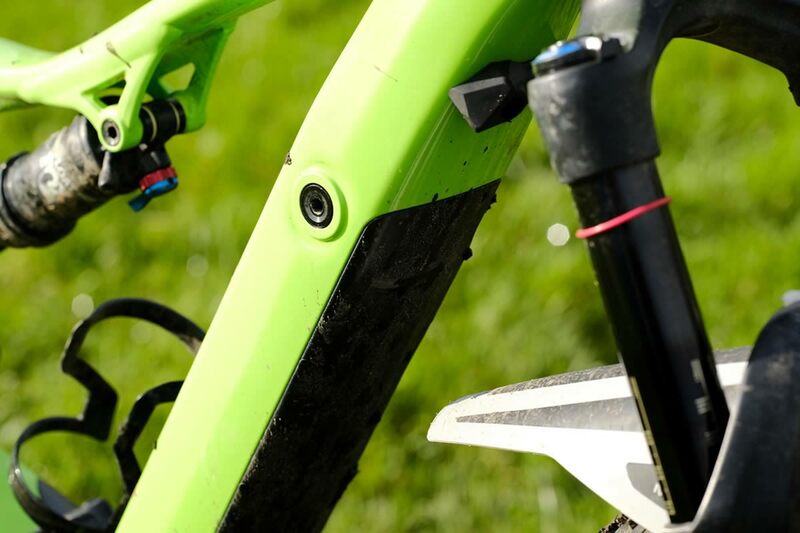 Now, it is heavy and that affects the handling undoubtedly, but Specialized have thought very carefully about where all that weight should be. By slotting the battery inside the downtube they have in fact lowered its mass, which coupled with the relatively lightweight in-house developed motor system, means that, yes you’ve got a big fat mass on board, but at least it’s all in the right place and is as low as it can be. The result is a bike that has a lot of momentum when descending but with a low centre of gravity handling is maintained at a reasonable level. 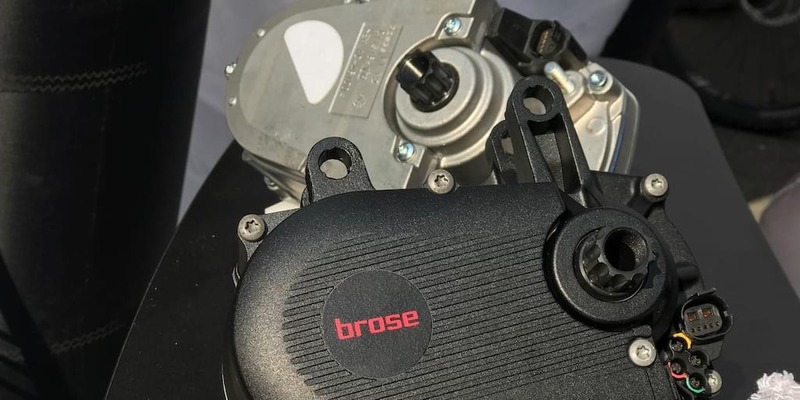 The fact the motor is always on and always assisting when coupled with the subtlety of that assist through the finely tuned pedal activated sensors means that feel of a real bike is maintained well. Specialized has put a lot of time and effort into how the motor assists the rider too and while you can just ride it out of the box with default settings, the true potential is unlocked via the tuning app. Using this you can set the length of your ride and then just let the power management system increase and decrease power as needed to ensure that you don’t end up with a flat battery before the end of the ride. But, like the Focus/Shimano Steps system you can tune the power assist levels themselves. If you want eco to really mean eco you can reduce the power added to your own input down to a level you could barely feel if you like. At the other end of the scale if you want more power from the system than you add in yourself then that too is your prerogative. The effort that has gone into the software and power management system is equal to that which has been directed at the mechanics of the bike itself. Creating a system like this is no small feat. It takes a lot of R&D and a lot of expertise that doesn’t normally exist within the bike industry. Consideration has even been given to reducing the noise output of the motor by using a belt driven motor instead of meshing cogs. The whole motor is small, quiet and delivers as much or as little power as you want or need. And therein lies another well thought out factor. Aesthetics. The first generation of e-MTBS had their batteries bolted on to the downtube, like some kind of electrical tumour. You could spot them a mile away for their pig-ugly looks. 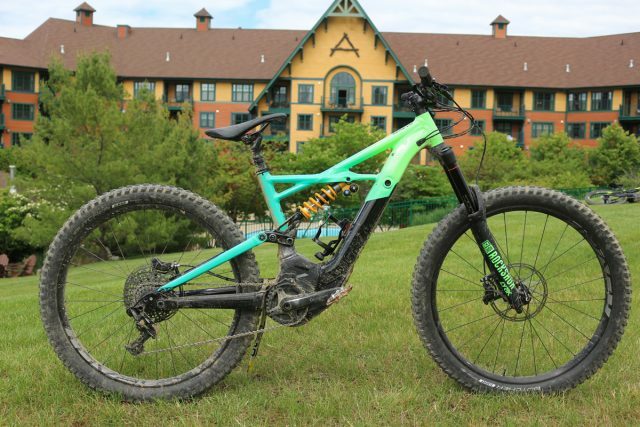 Well, it turns out that mountain bikers are not so keen on e-MTBs that don’t look like real bikes, which has not escaped either Specialized or Focus. Neither of these bikes is designed for beginners, which is a comment on e-MTBs in general I see a lot. These e-MTBs are designed for experienced riders. Riders who know how to ride down to a level that leaves them comfortable piloting up to 52lbs of bike over terrain suited for the slack angles and long travel that come with both these bikes. They are not designed for the old, infirm, lazy or the sick. 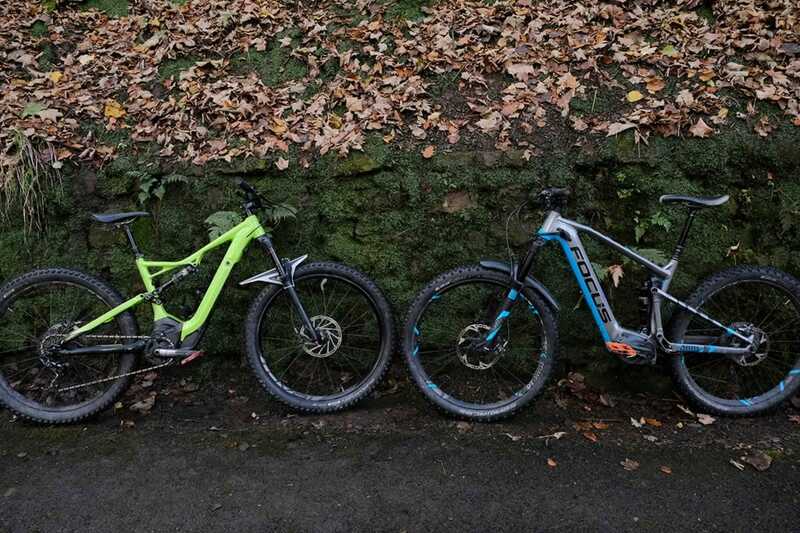 In fact if you were in that group or you were a total beginner there’s a great chance you would get yourself into a lot of trouble trying to handle these two bikes, especially the Levo. These are both bikes carefully designed not to merely add a prerequisite e-MTB to the range just to keep up with the demand and not be left behind, but to increase the amount of riding an ordinary, fit, healthy, motivated mountain biker can fit into a given space of time. Time that these days is becoming increasingly short in supply it would seem. The Focus Jam2 is Mark’s pick. I know at the start I said I wasn’t going to pick a winner. I love both of these bikes in different ways because of their different approaches. 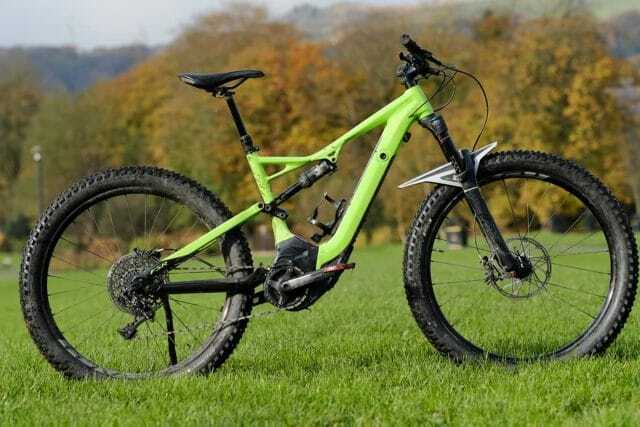 The Levo is the more gravity intentioned and can certainly handle a lot of it either up or down thanks to its masses of travel, big tyres and full fat 500wh battery pack. The Focus Jam2 is lighter and less powered and is a bike that you can actually get away with pedalling if the battery dies – Don’t get me wrong, that’s not the most pleasant experience but my point is you won’t be stranded. The Jam2 is a bike you can ride ordinary trails on – not just the steep ups and downs of technical parks, although it is more than capable there too. It’s particularly suited for an all day ride in the Dales and that’s more reflective of my riding history. So that, together with the brave decision to build a bike with less power than the competition means that for me I’d pick the Jam2. Want to go lighter again? Check out Mark’s detailed first look of the carbon fibre Focus Jam2 here. 29in front, 27.5+ back, and Shimano STEPS in the middle. Canyon welcomes you to the e-Party with the unique Spectral:ON!